Investing 101: If you aren’t investing you’re losing. •Buy great businesses. Buffet doesn’t think of himself as owning pieces of paper whose prices go up and down; he thinks of himself as a business owner. And as such, he only buys shares in well-run-businesses with growing sales and unique competitive advantage. •Only invest in what you understand. If I had no knowledge of stocks or how to invest, I would be a tad bit confused about these two bullet points. What is a share? How do I own one? How do I know if it’s a great business? If I don’t know the answers to these questions, how can I invest since I don’t understand?! I get it, which is why today I’m going to try to answer some of the questions you may have. “A share is a unit of ownership, or equity, in a company or a corporation.” (shttp://www.investopedia.com/terms/s/shares.asp) When you buy a share you are buying a piece of a company. How do I know it’s a great business? Well, you have 500 companies to choose from. I would think about the products that you use on a daily basis. What stores do you like to shop in? What types of snacks do you eat? What are your favorite beverages? If America was going into a Great Depression, what are necessary items that people would still need to buy? Once you think about these questions, make a list of the answers. Next, go to Yahoo Finance and search for the name of the companies provided in your answers. You will be able to see each company’s stock symbol, their current performance in the market, the cost of each share, and whether or not they offer dividends. However, not all companies pay dividends, be sure to double-check. Let’s use Wal-Mart as an example. Once you’ve signed up for a brokerage account, you can go to Yahoo Finance and type in Wal-Mart. It will give you a summary of the company. You will find out that Wal-Mart’s symbol is (WMT), and the share price at the moment is $78.00. Wal-Mart happens to pay its shareholders a quarterly dividend. So let’s say you bought 25 shares of Wal-Mart. $78.00 x 25 shares =$1,950. The more shares you have, the more money you will make each quarter. I know, you may be thinking Candice $19.25 isn’t much money, but imagine if you were buying shares from Wal-Mart for the past 20 years! You’ll not only make money from the dividend, but you will also make money when the price of the share goes up. Bad news is you’ll lose money when the share price goes down. Actually it’s not really bad news. This is the time when you should buy more shares because eventually the share price will go up again. Forget about today, you have to think about the future. Christy Walton (who inherited her wealth when husband John Walton died) received $460 million in Wal-Mart dividends after taxes in 2013! I hope this post provided some clarity. There are a ton of books and websites you can visit to learn more about investing. Saying you don’t understand is an excuse, you have to be able to educate yourself. You mean to tell me you know every Jordan shoe that came out since 1989, every album Jay Z ever created, and that Tahiry turned down Joe Budden’s proposal on Love and Hip Hop, but you don’t know how to invest your own money? Please spare me! 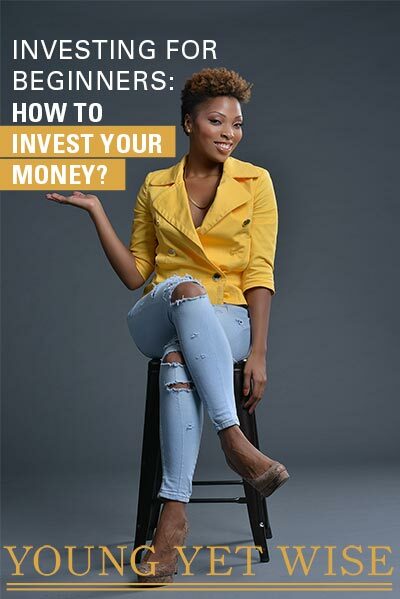 Just like you were able to learn about Jay and Jordan, you can learn how to invest your money. As always, be wise, stay humble & build. I purchased my first stocks this week with the company I work with. Only thing is I missed budgeted on bills, and other financial obligations. I’m hoping the risk is work it! And will be calling my financial institutions to work things out. Keep you posted! Yay Congrats!!! I’m sure it will be worth it. Please keep me posted! !